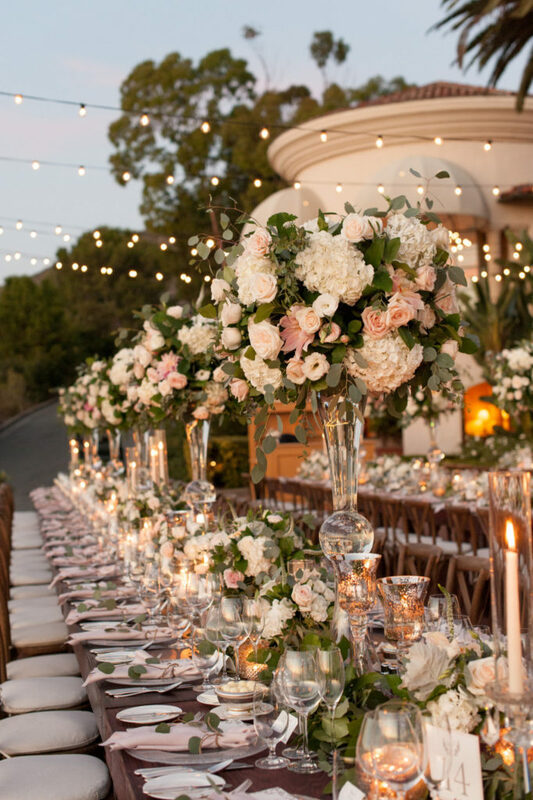 This dazzling, outdoor wedding created the perfect inspiration with its blush & soft green palette. 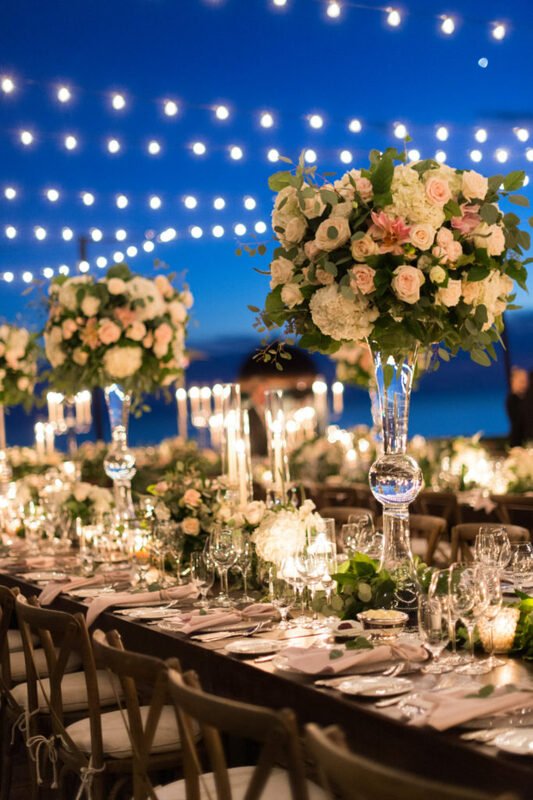 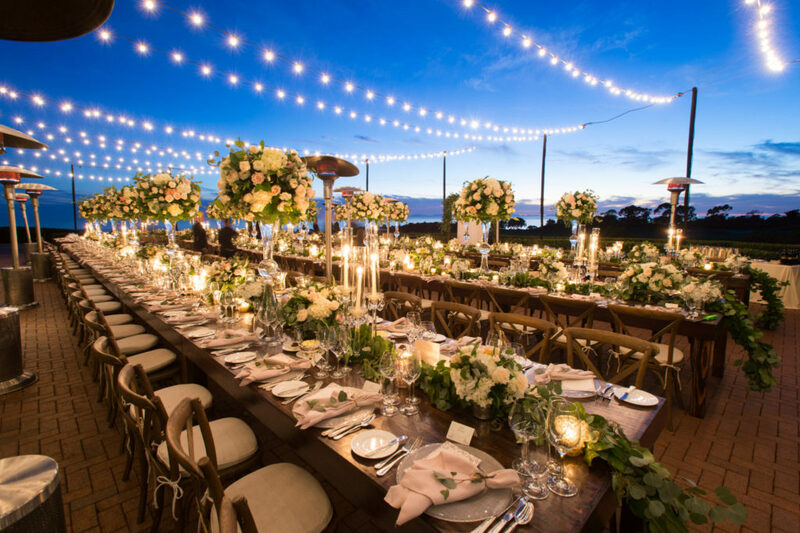 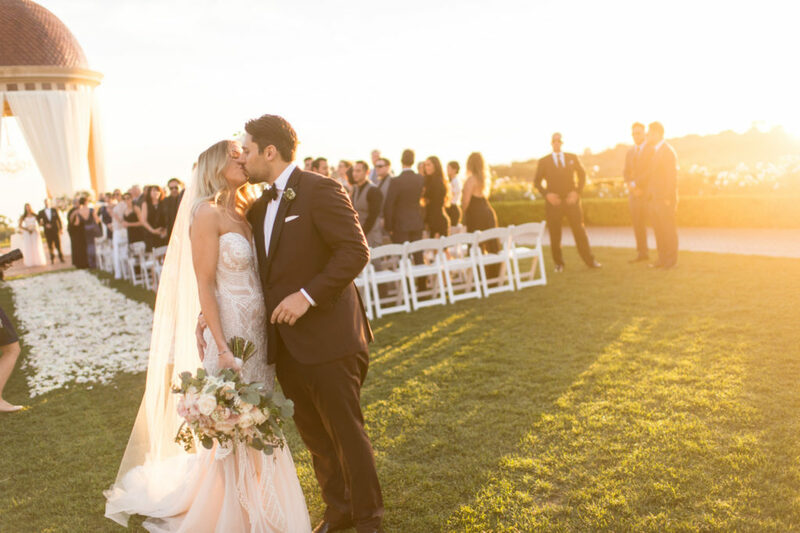 With the perfect backdrop of the Resort at Pelican Hill & beautiful, clear skies of a Californian summer, there is no wonder why this wedding is so captivating. 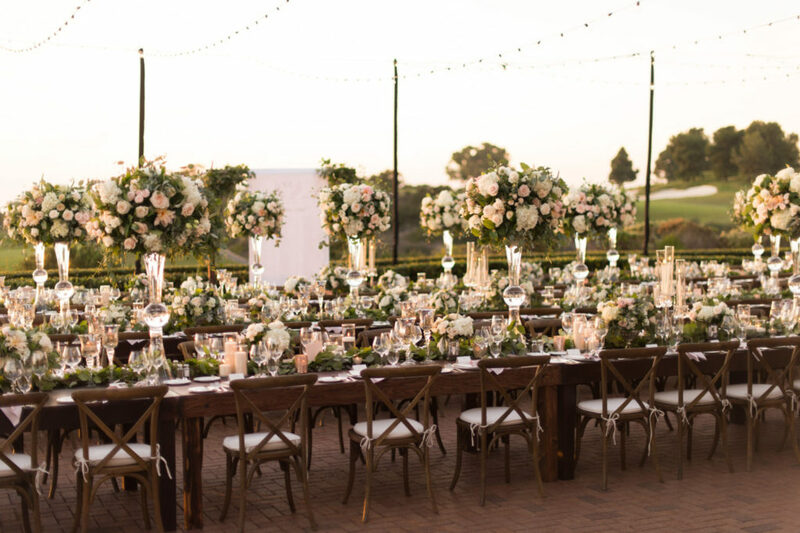 This celebration of love was featured on California Wedding Day and we are so excited to share every detail. 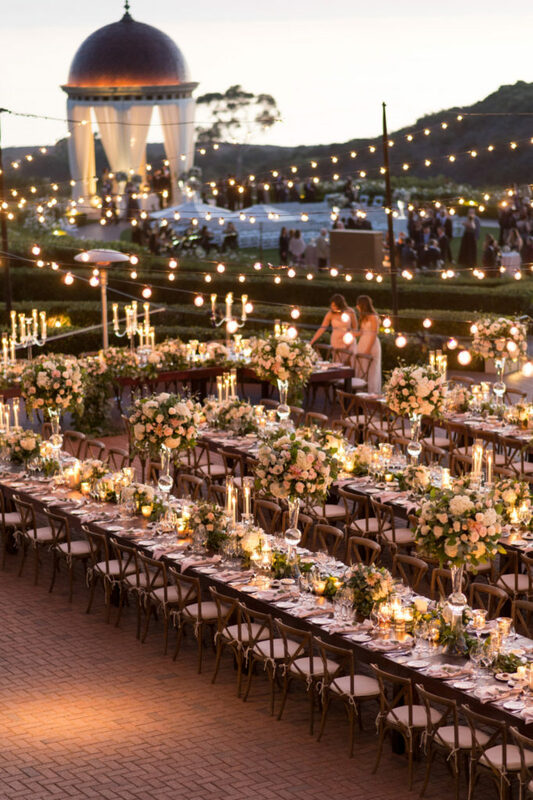 California Wedding Day is not your average wedding magazine. 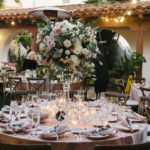 It is Southern California’s premier wedding resource featuring fashion, inspiration and pretty details. 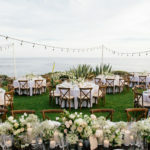 Their inspiration comes from the regions most stunning contribution from top vendors and photographers. 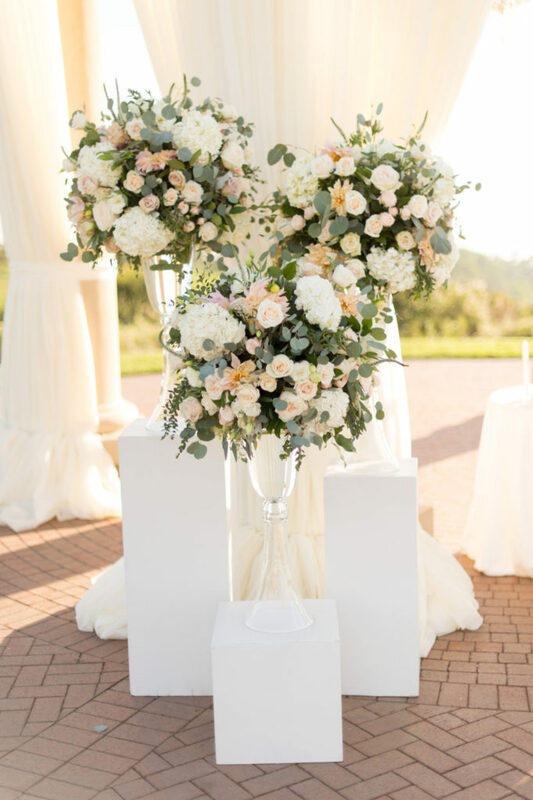 “The day was filled with all things elegant and chic, including Virginie’s amazing wedding gown and stunning bouquet crafted by Flowers by Cina. 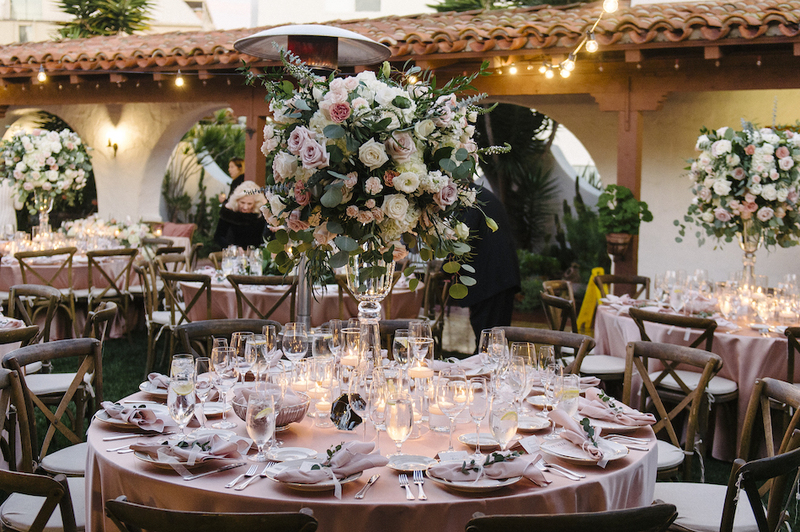 A refined palette of blushes and neutrals set the scene for the celebration, a floral-filled event full of love.” – California Wedding Day. 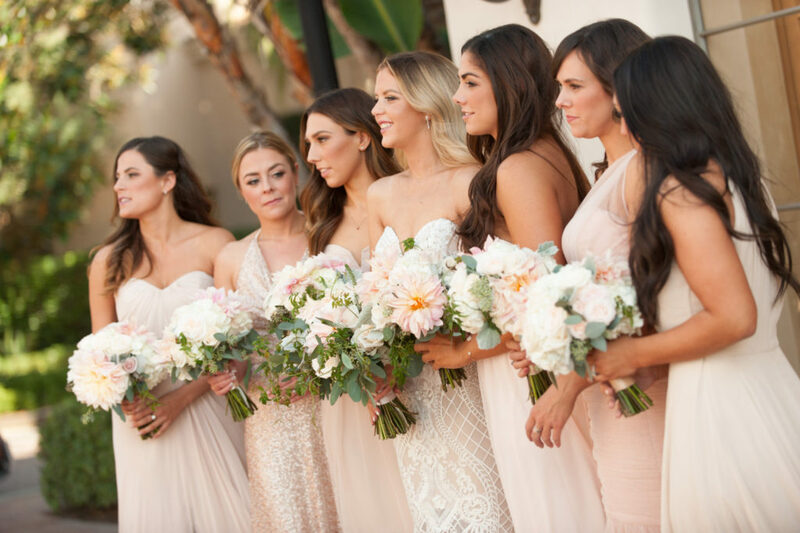 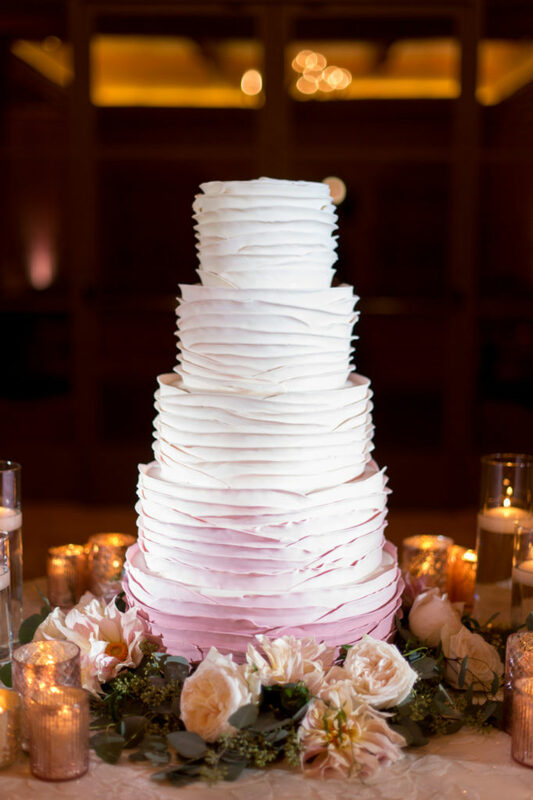 Virginie and David’s gorgeous pastel themed wedding took place at the stunning Resort at Pelican Hill in Newport Beach and was planned by 221 Weddings & Events. 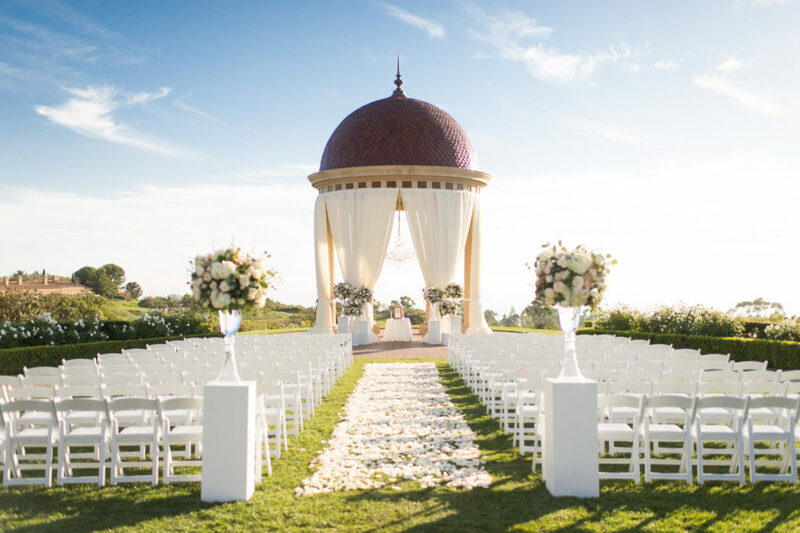 See more details and wonderful photos by Studio EMP on California Wedding Day.